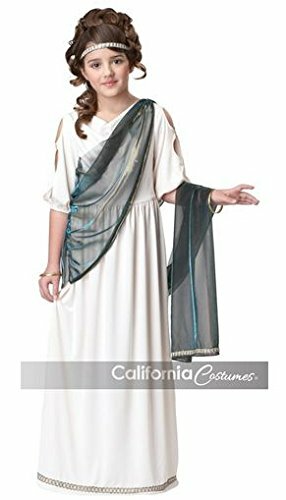 They will know my name as the greatest Gladiator of Rome. 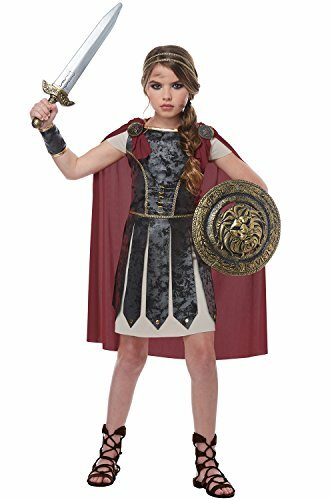 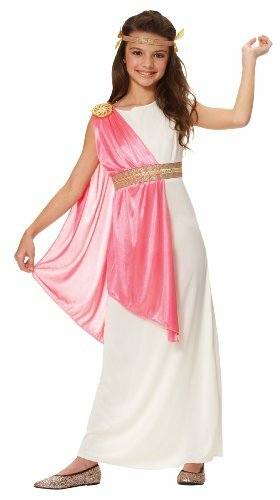 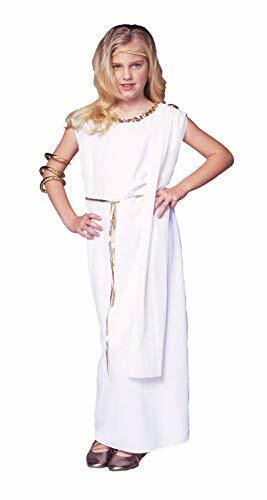 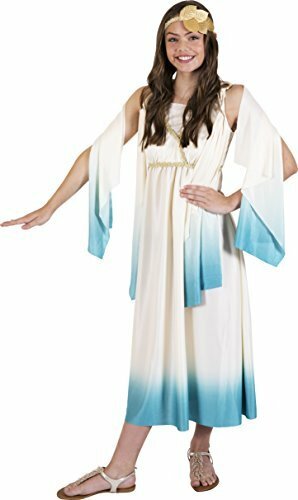 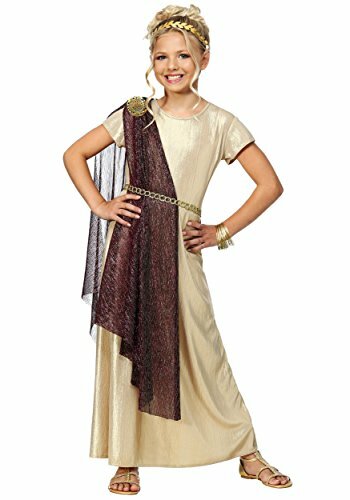 The Fearless Gladiator child costume includes a dress using a black suede fabric for the armor and attached tan fabric as the skirt and short sleeves decorated with printed buckles on the midsection. 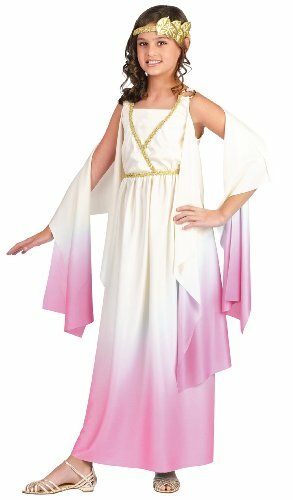 The costume also includes a braided headband, a detachable cape, (1) one wrist cuff and a pair of medallion pins.